Bouldering and surfing share a common traitwaiting for the action. 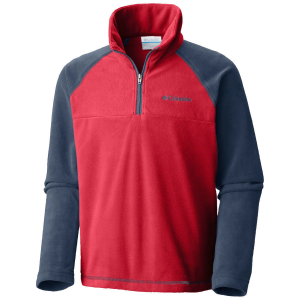 When hes resting between scrambles or lying low before paddling out, this hoody provides the warmth of a full-zip sweatshirt with the technical benefits of double-faced polyester fleece. 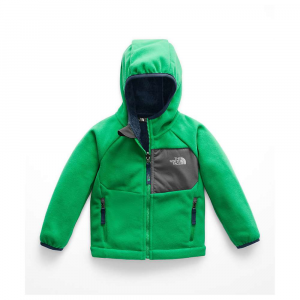 The recycled fabric is bluesign approved, wicks moisture, dries quickly and feels soft against skin. Fun, contrast color-blocked yoke. Classic Snap-T styling includes left-chest pocket with snapped nylon flap and spandex binding at 3-panel hood, full-length zipper, cuffs and hem. Two handwarmer pockets hold pinecones or shells. Hand-me-down ID label. Hip length. Bouldering and surfing share a common trait-waiting for the action. 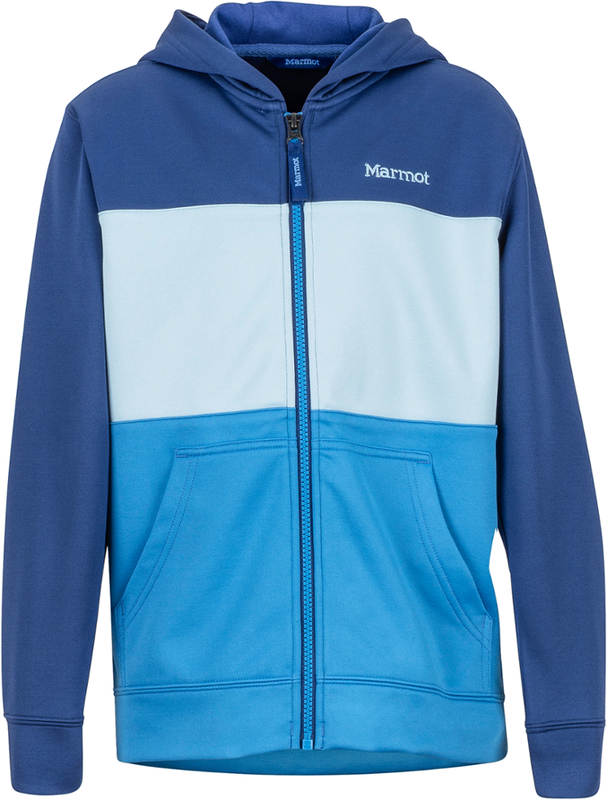 When he's resting between scrambles or lying low before paddling out this hoody provides the warmth of a full-zip sweatshirt with the technical benefits of double-faced polyester fleece. The recycled fabric is bluesignr approved wicks moisture dries quickly and feels soft against skin. Fun contrast color-blocked yoke. Classic Snap-Tr styling includes left-chest pocket with snapped nylon flap and spandex binding at 3-panel hood full-length zipper cuffs and hem. Two handwarmer pockets hold pinecones or shells. Hand-me-down ID label. Hip length. 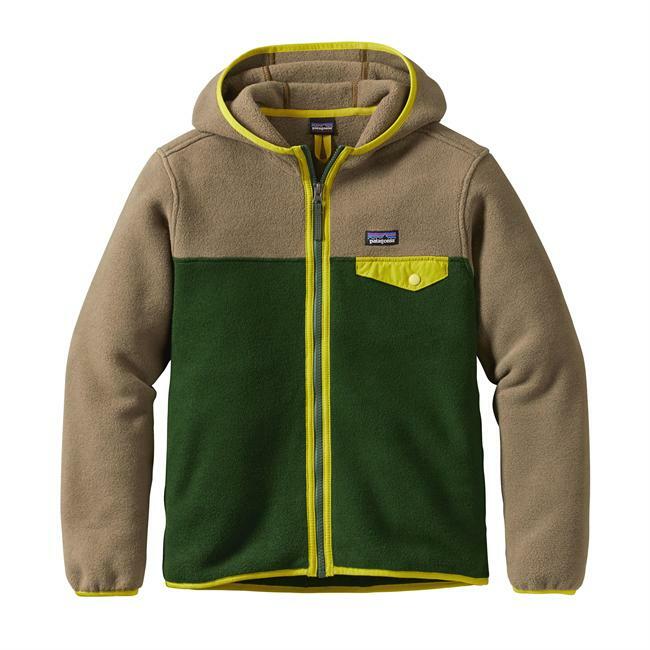 "Patagonia Boys Clothing Lightweight Synchilla Snap-T Hoody - Boy's-Nickel-Large 65565NKLL. Desert bouldering and chasing winter swell share a common traitwaiting for the action. 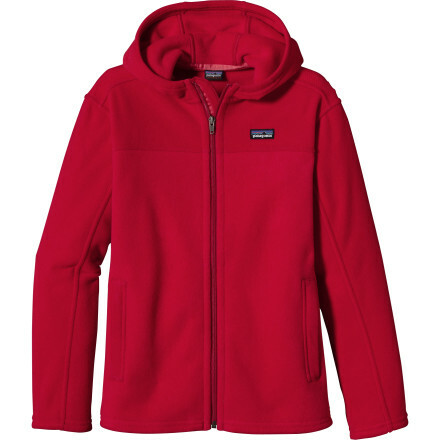 When he's resting between chilly scrambles or lying low before a frigid paddle out this hoody provides the warmth of a full-zip sweatshirt with the technical benefits of double-faced polyester fleece. The recycled fabric wicks moisture dries quickly and feels soft against skin. Fun contrast color-blocked yoke. 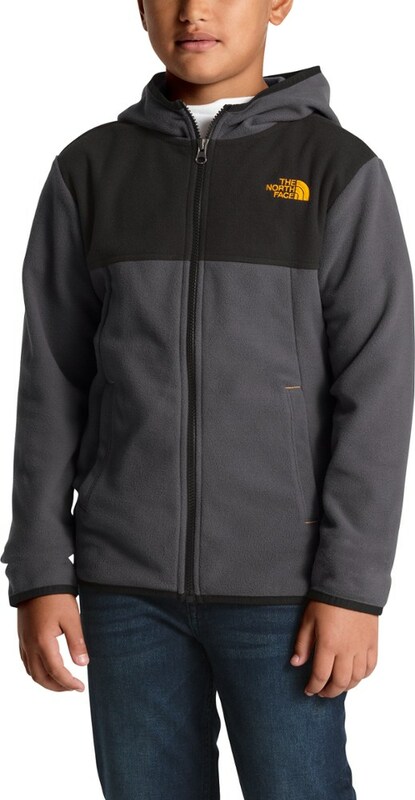 Classic Snap-T styling includes left-chest pocket with snapped nylon flap and spandex binding at 3-panel hood full-length zipper cuffs and hem. Two handwarmer pockets hold pinecones or shells. Hand-me-down ID label. Hip length." Blustery bouldering and chasing winter swell share a common trait-waiting for the action. 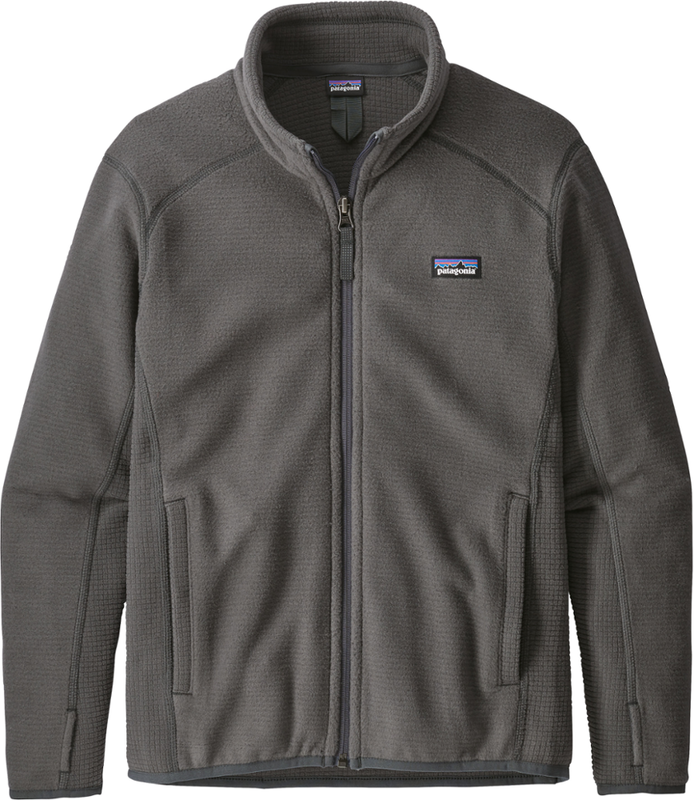 When he's resting between chilly scrambles or lying low before a frigid paddle out, this hoody provides the warmth of a full-zip sweatshirt with the technical benefits of double-faced polyester fleece. The recycled fabric wicks moisture, dries quickly and feels soft against skin. Fun, contrast color-blocked yoke. Classic Snap-T(R) styling includes left-chest pocket with snapped, nylon flap and spandex binding at 3-panel hood, full-length zipper, cuffs and hem. Two handwarmer pockets hold pinecones or shells. Hand-me-down ID label. Hip length.